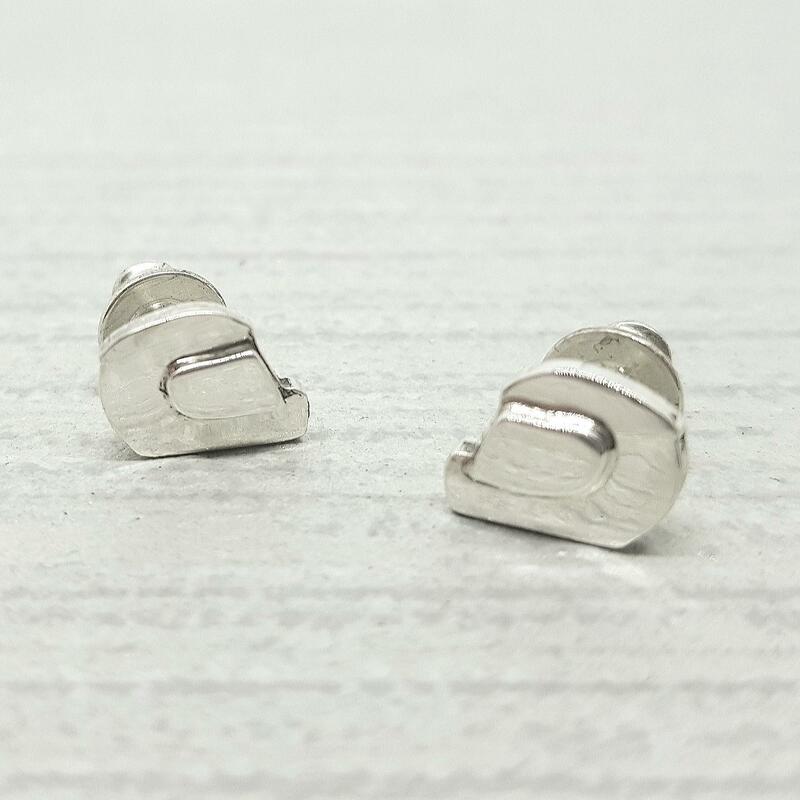 Stud earrings featuring a handcrafted motorbike helmet. Each helmet is cut by hand and then a earpost fitting is soldered to the back of each one. The visor is cut as a separate part which is then soldered to the helmet. Dimensions - approximately 9mm x 7mm. Each helmet is hand cut so variations are to be expected. 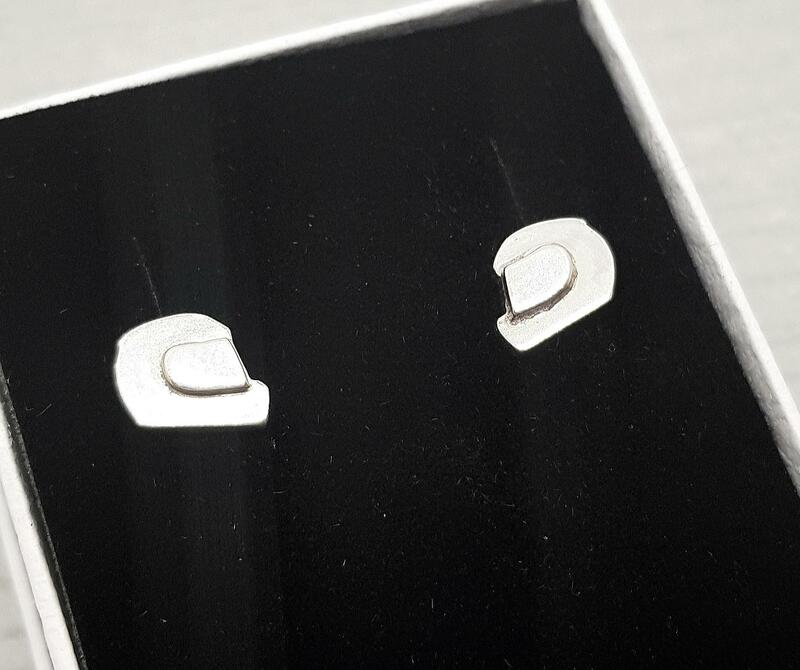 Each motorbike helmet stud is hand crafted.....cut, sanded, filed, soldered and polished completely by hand. Due to the work involved please allow up to 4 weeks for completion of your order.